China Factory: Zhejiang Dison Auto Electrical Co., Ltd.
YEEU CHANG ENTERPRISE CO., LTD. was established in Taiwan from 1990 including the company and factory. We are a specialized manufacturer of Car lights and Auto accessories, that to be the ability of researching, developing, manufacturing and marketing. In order to respond to global market trend and enhance market competitiveness, we decided to set up a new factory in Jiashan County, Zhejiang Province of China in 1999. Our R & D team designs the product with function and distinguishing feature, which is our greatest competitive advantage. 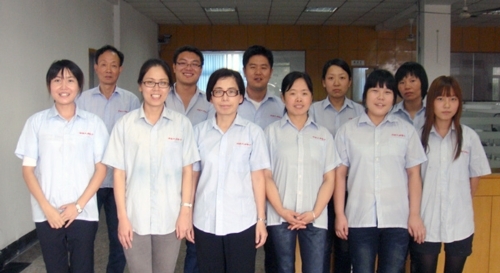 R & D team has the ability to design our own mold and circuit, so we can at any time cooperate with customers from concept to mold development, to do a coherent communication with the complete after-sales service, which presents we are a powerful suppliers to do OEM and ODM for the worldwide customers. For the customer, we uphold "steady and dependable style", and always introduce new products to meet the new demands of the market, so that we get the praise of many customers in the Americas and European markets. In order to provide customers a wide range of products, in addition to constantly develop new products, but also actively work together with world-class customers to develop the series products. Our products include LED lighting products, LED car lights, LED third brake lights, LED warning lights, Car flash light. Car under lights, Neon lights, Alarm horn, Reversing speaker with voice IC, License frame, Decorative lights, Crystal diamond stickers, etc. Based on "environment friendly, energy saving and carbon reducing", we mostly use LED in the light. All products are promoted to global markets, including North America, Central and South America, Europe, the Middle East, Southeast Asia and other areas of the world. Looking ahead, we focus on the link of market demand and product design, and constantly understand the market demand to develop new products, which will make the production and marketing have closer connection, so that we walk in front of the industry to let the customers get the best services. Our company inherited the accumulation of technology, management, and customer base of more than 20 years, upholding the concept "Quality first, Continuous innovation, Create mutual profits" to meet the market changes, and provide a full range of diversified services to meet the needs of customers. We sincerely hope to the partner of the worldwide industries, so that we can toward the direction of sustainable development. ZHEJIANG DISON AUTO ELECTRONICAL CO., LTD. Copyright © 2019 YEEU CHANG ENTERPRISE CO., LTD. All Rights Reserved.